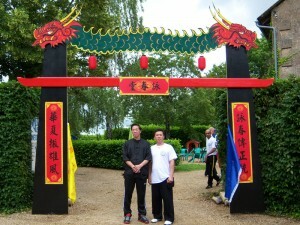 This is the first Training Camp of Grandmaster Samuel Kwok Wing Chun Martial Art Association, the camp site is located at Menesplet (Camp” Gite Le Loges) about 100 km from Bordeaux, 3 km from the highway and held for 4 days from 8 to June 11, 2012. The Camp participants came around 40 people, all Samuel Kwok’s disciples from around the continents (Europe, Africa and Asia), luckily we had one participant from Asia, Indonesia, Shi Fu Martin Kusuma. Beside that there were Wing Chun practitioner from Moy Yat’s lineage, William Chung. William Chung is direct lineage from GM Ip Man. 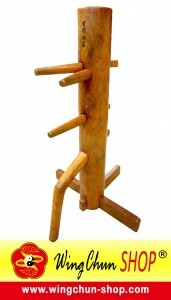 There were many practitioners with different martial arts’s background who now pursuing Wing Chun. The schedule was very tight, started at 7 in the morning (Chi Kung practice) until night, in addition to cold weather brought up different challenges to the participants. Beside practices, there were “Open Sparring Tournament” programme, free fighting style, joined by few camp participants and the winner were Marco from Angola, Africa.